Hi, my name is Alice and I love cruise ships! You know those weird and wonderful facts you discover about people? Well that is one of mine and in the last few months I've been getting to live my happy cruise ship obsessed life by hopping on to a number of cruise ships to explore. 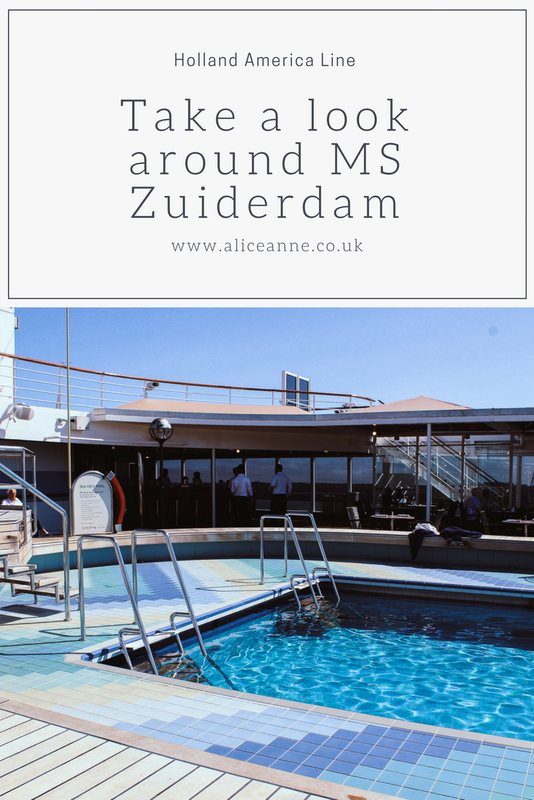 A few weeks ago, I was invited to experience Holland America Line and one of their ships, MS Zuiderdam which is a Vista Class cruise ship and like nothing I've ever seen before. 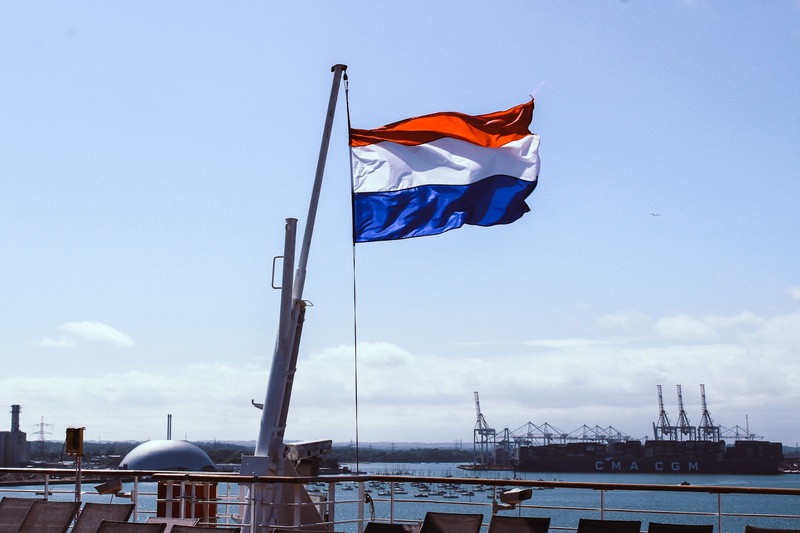 Zuiderdam is the lead vista class ship and is sister ship to three other HAL ships, Oosterdam, Westerdam, and Noordam with the beginning of their four names making up the four points of a compass in Dutch. In the Spring of 2018, she had an extensive refit so when Zuiderdam was on a port stop in Southampton during a North Atlantic cruise, I headed on board with a lovely group of people to explore, eat and experience a fabulous foodie demonstration at America's Test Kitchen. 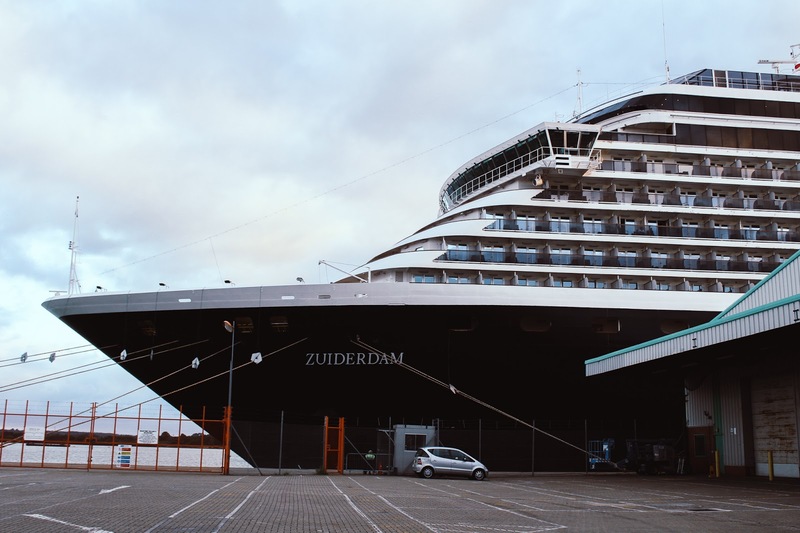 Zuiderdam is classed as a mid size ship being 936ft in length and she holds 1964 guests. I've been on a few different ships now but Zuiderdam is like nothing I've seen before. 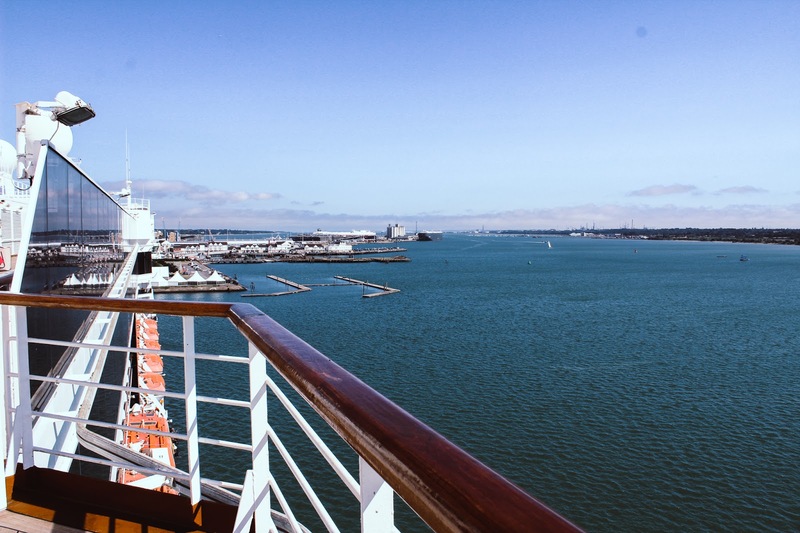 It's classic nautical lines and modern amenities mean you have everything to hand and the ship has an impressive art and antique collection which can be seen throughout the ship and its decks. The atrium is three stories, features a 24 hour front office as well as fresh flowers, a Holland America speciality and panoramic glass elevators. The weather was beautiful so it was the perfect day for a look around a cruise ship. 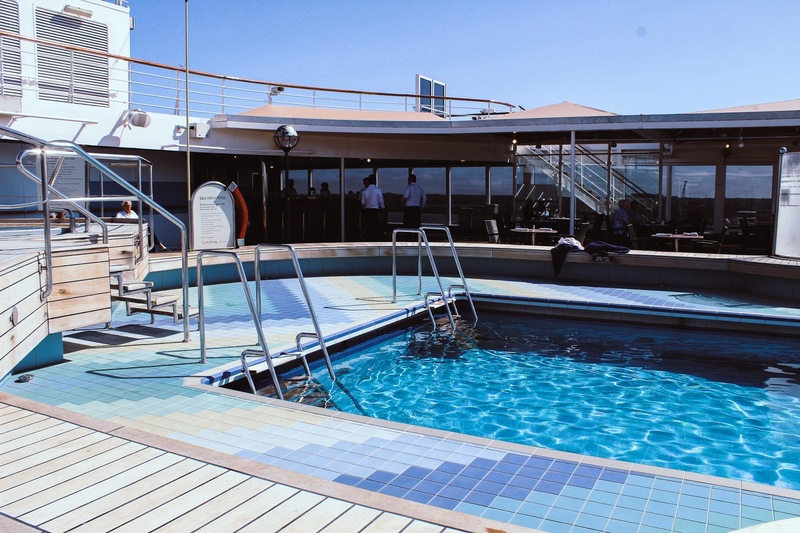 We had blue skies, sunshine and temperatures of 27 degrees so I really had to restrain myself when it came to exploring top deck and the swimming pools. Zuiderdam has two pools filled with freshwater as well as freshwater showers around the pool areas. The pool areas are gorgeous and they also feature two oversized whirlpool spas with plenty of sunbeds and bars to keep you refreshed. I knew where I wanted to spend my afternoon. 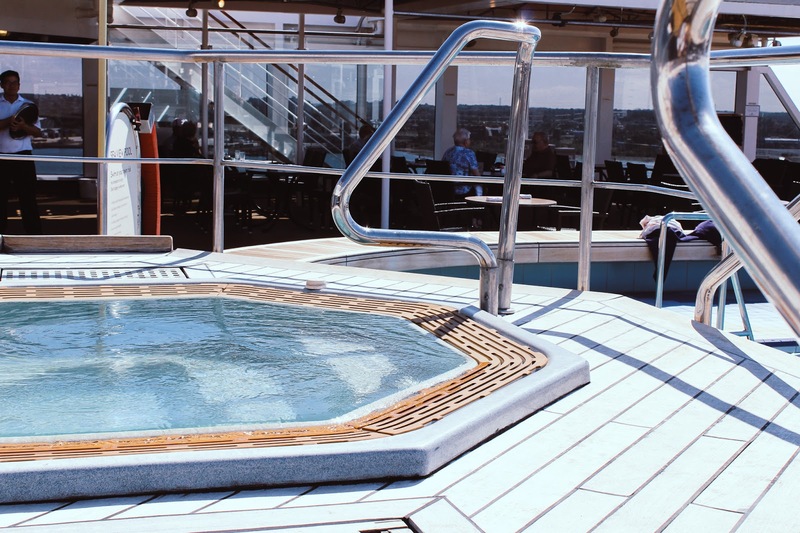 The Seaview pool is an open air pool perfect for warmer climates whereas the Lido Pool can be covered by a retractable glass dome at the flick of a switch which makes it ideal for a North Atlantic Cruise. One area I really loved was The Retreat which is an outdoor area perfect for a quieter, more luxurious experience. 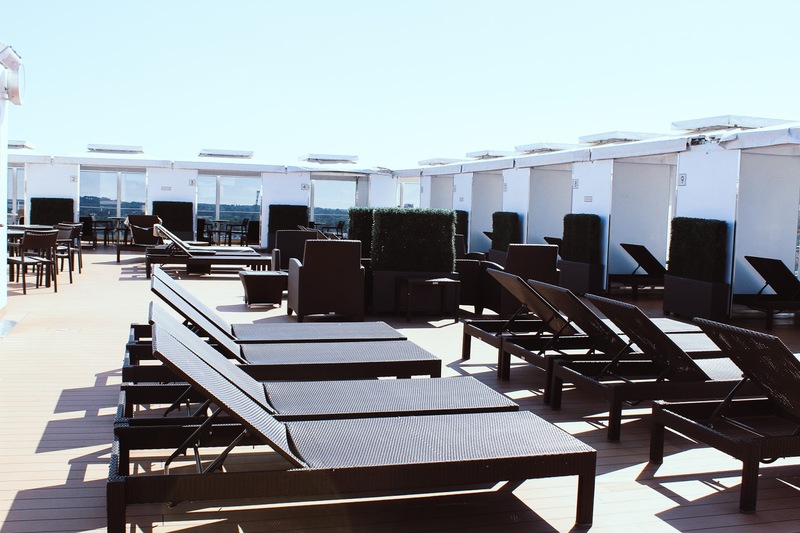 It is the perfect location for amazing views, laying back on the lounge chairs within more private cabanas while being pampered and sipping on drinks from the exclusive bar. Can you see why I love it? We also had a peek in the Greenhouse Spa & Salon where we were greeted with huge smiles, it felt very warming. 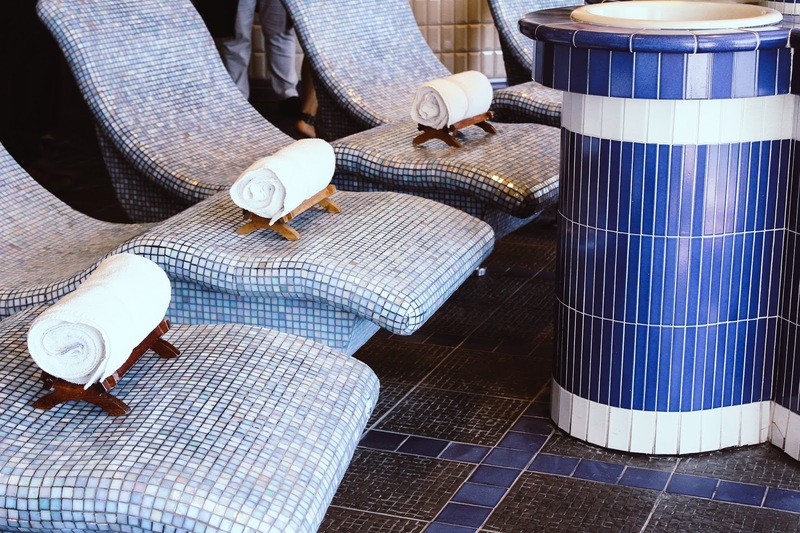 The spa features eleven massage and therapy rooms which includes a couple's treatment room. There is also a gym, aerobics area, beauty salon, thermal suites and a hydrotherapy pool. 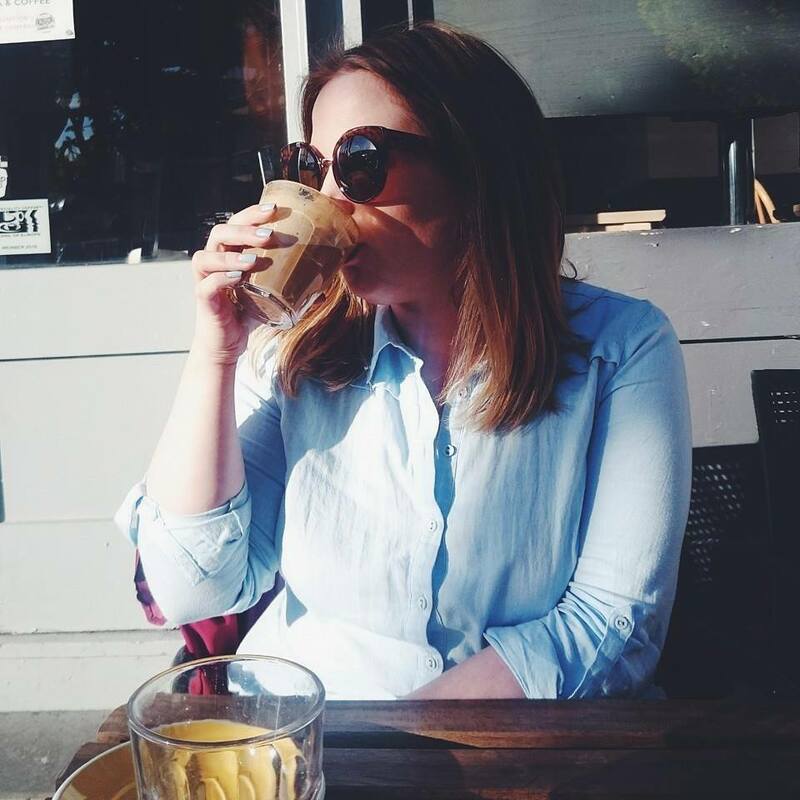 If discovering more of the world and the destinations you're about to visit is your thing then Explorations Central is for you, I could easily spend hours in there drinking coffee and taking in the views. 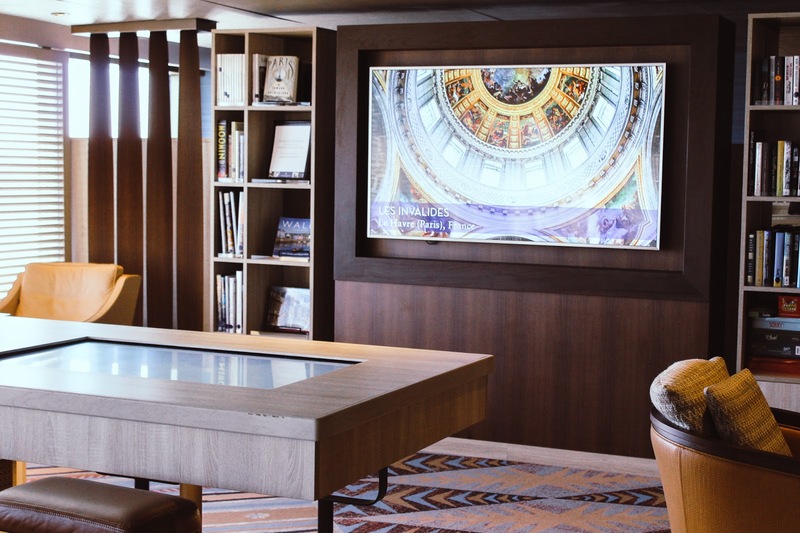 The crows nest has been transformed into an explorers dream where you will find interactive touchscreens, digital stories, port planners as well as real time data from the bridge. The room also features the speciality Explorations cafe, library and bar plus super comfy seating and panoramic views. Guests can also receive a complimentary digital workshop where they may learn to edit their holiday photos or make a movie with Microsoft experts. Entertainment is thoroughly thought out on all of the vista ships with incredible concerts and activities from BBC Earth and the opportunity to watch live classical music from the Lincoln Centre Stage plus you can enjoy culinary experiences from America's Test Kitchen. We experienced a demonstration from Laurie at America's Test Kitchen showing us different ways we could use eggs. She made delicious meringue, homemade mayonnaise and devilled eggs something I'd never come across before but looked delicious. The recipe cards we were given will come into good use! 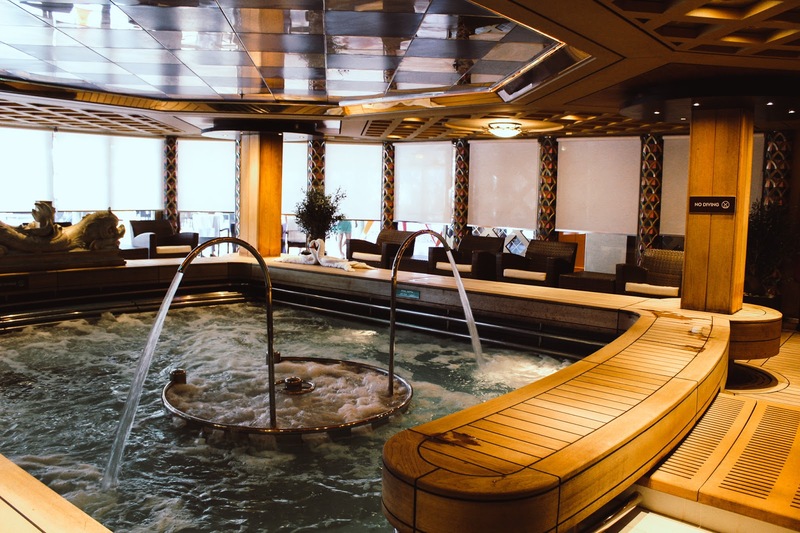 Throughout the ship you can take in the unique and elegant surroundings thanks to an impressive art and antique collection. The collection on Zuiderdam is valued at $2 million and features a painting of Queen Beatrix of the Netherlands by Andy Warhol. 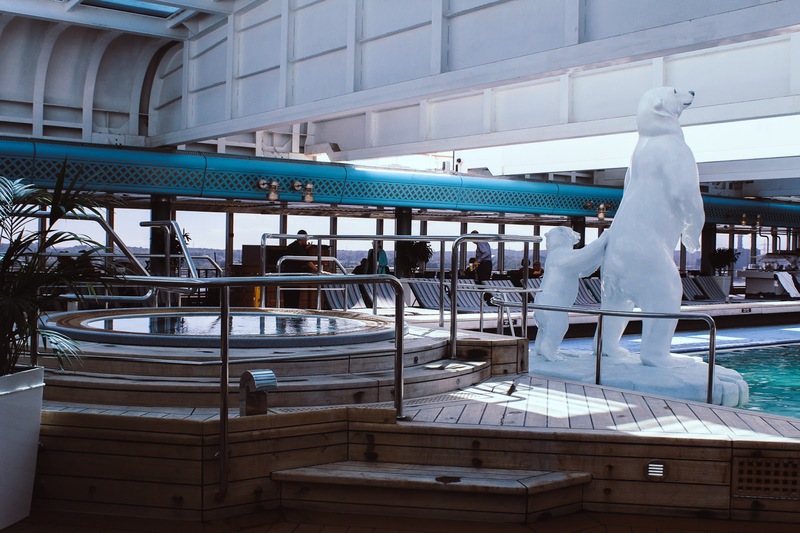 Everywhere you look there is beautiful art, impressive sculptures and a photo gallery and as you walk through the ship you'll come across various lounges, a multi purpose theatre, a gallery bar and live piano music. We didn't view the shops on the ship as they were shut due to being in port but we did pass through for a quick peek before heading to one of the bars for drinks. 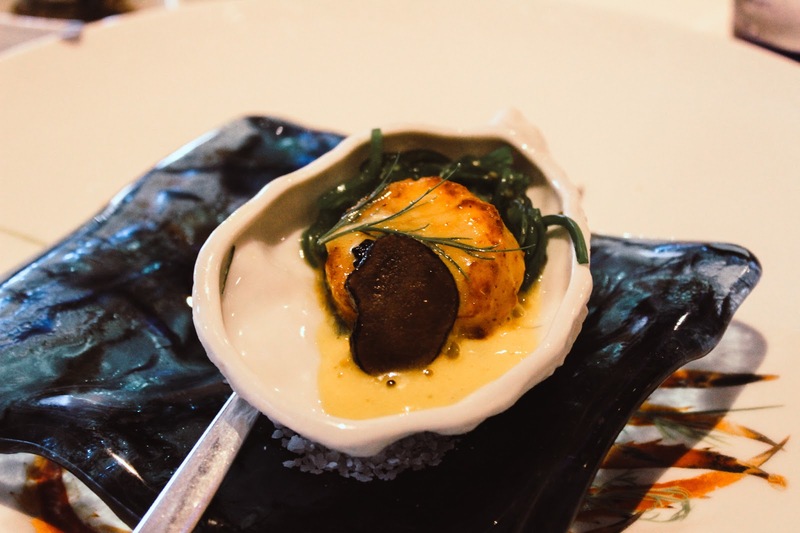 We were booked into the Pinnacle Grill for dinner which specialises in signature Pacific Northwest cuisine. The restaurant can be booked in the evening for a cover charge of $35 per person and is the only restaurant on the ship that requires an added charge but oh is it worth it! 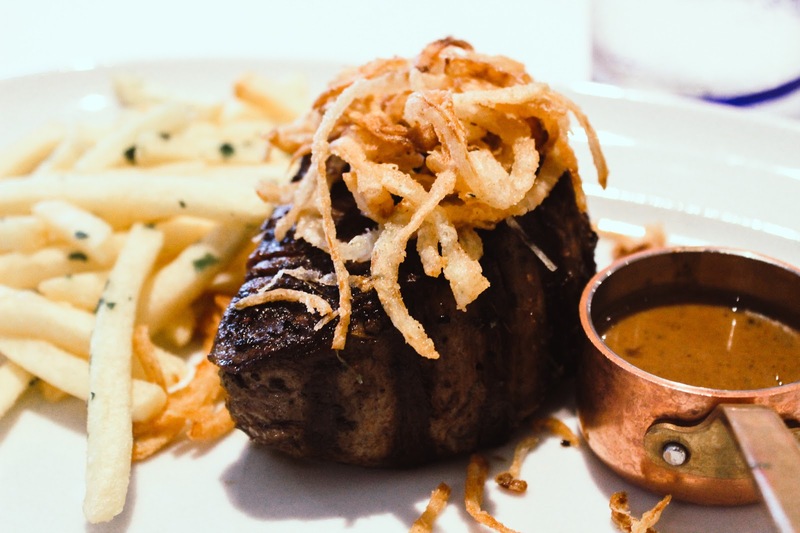 During a cruise, the Pinnacle Grill hosts pop up dining experiences. 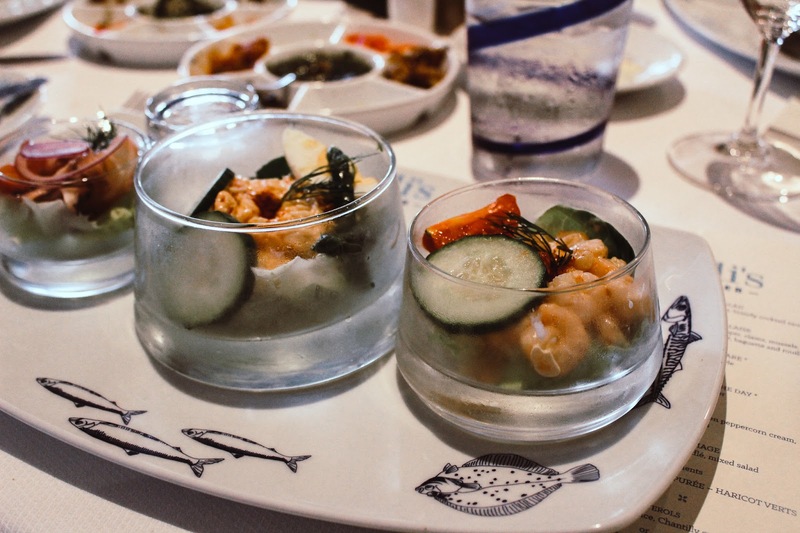 We eat at Rudi's Sel de Mer seafood restaurant which was the evenings pop up restaurant. We were seated with drinks and menus by the friendly staff while we tried to decide what to eat. The menu was fabulous and I couldn't wait to try the food, we had heard such great things! We each had scallops brought to the table followed by starters, I chose Trio of Seafood Salad which was lump crab meat, north sea shrimp and octopus in a brandy cocktail sauce. Absolutely delicious! I love seafood and this was perfect. The main course was a choice of the Fresh Catch of the Day prepared in a classic style, Steak Frites, a black pepper crusted beef tenderloin with a green peppercorn cream, onions and french fries or the Souffle au Fomage, double bakes goat cheese souffle with mixed salad with side choices of ratatouille, cauliflower puree or haricot verts. The meal was incredible, I had the Steak Frites and it was cooked to perfection, melted in your mouth and I won't lie, I've been thinking about it a lot the last couple of weeks, it was that good! Let's just say, I'm glad I didn't eat that day to make room for the delicious delights we were served in the Pinnacle Grill. 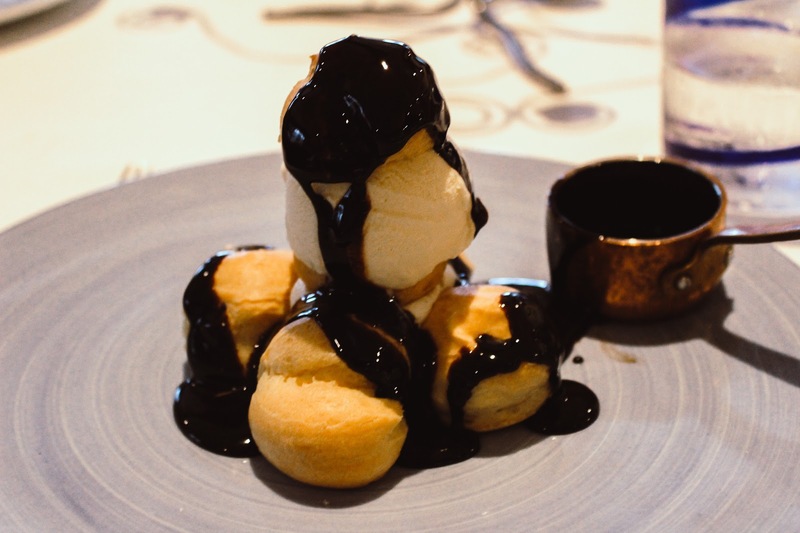 I somehow managed dessert but with Profiterols served with hot chocolate sauce and Chantilly cream, how could I resist? There were two other options, Crepes Suzette with vanilla ice cream or Apple Tarte Tatin with sea salt caramel ice cream. A trio of desserts would've gone down a treat! Before long, it was time to disembark but I could've quite happily checked in to a state room for the night. Who wouldn't?! 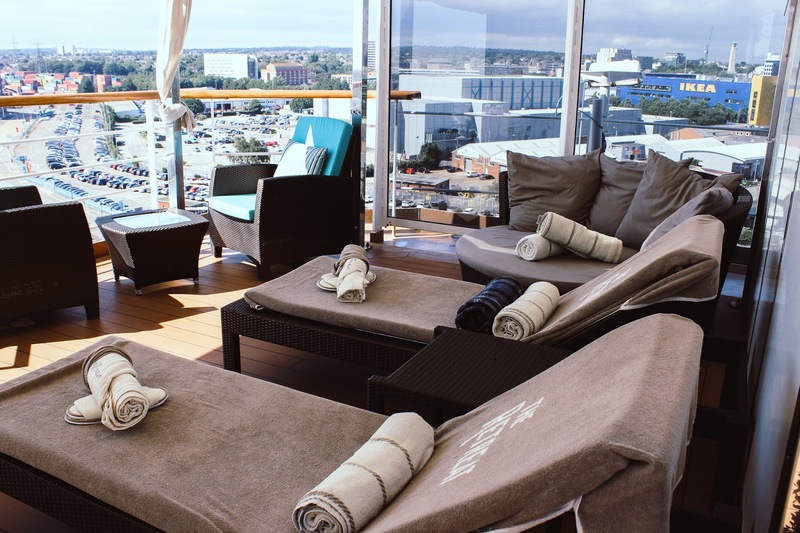 My thirst for a cruise has just trebled and I think I owe it to myself to hop on a cruise and get myself on that cabana deck with a mojito on a lounge chair. Holland America Line currently have a sale on spending money (I know right?!) which you can check out on www.hollandamerica.com. 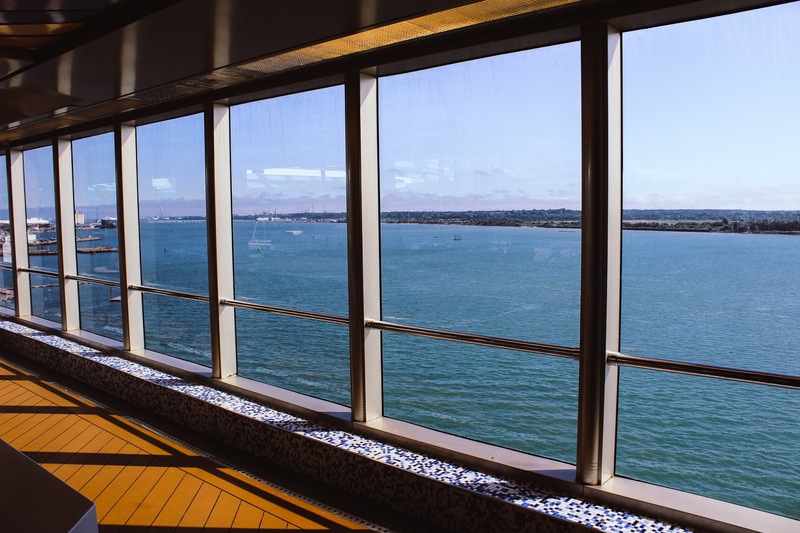 I have my eyes on a Panama Canal cruise. How amazing would that be? I was invited on for the day to experience Holland America Line - Please see disclaimer. This all looks incredible! It’s making me want to book a cruise so much! 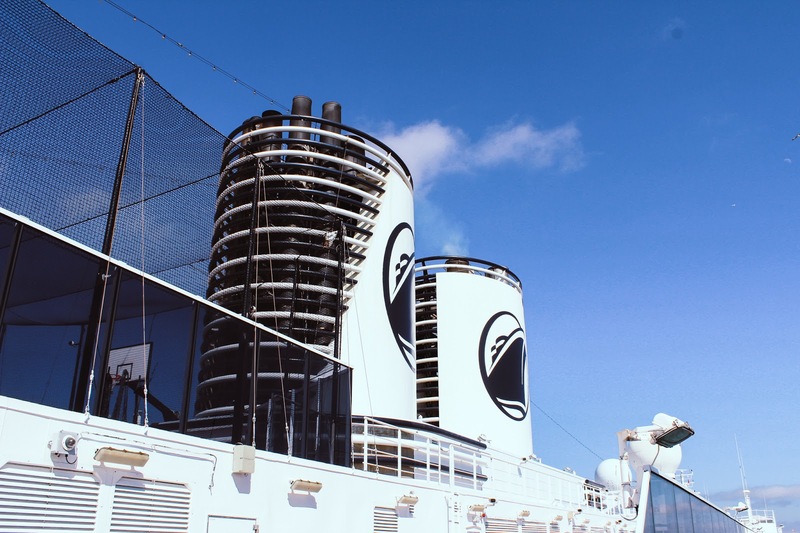 It’s hard to believe this is all onboard a ship! I have never been on a cruise but your posts make me want to book up asap! Living the best life here Alice!